My partner Rick got his entrepreneurial genes from his dad. Prior to becoming an expert on European travel, he was a pre-pubescent magazine seller, a teenage rare coin trader, and a college student piano teacher. His sister Jan Steves is entrepreneurial, too, but she’s got something more. She has the adventure gene, courtesy of her biological grandfather Art Romstad–a daredevil ski jumper. Jan’s love of the great outdoors, snow, and dogs has now become her passion, and this weekend, she’ll embark on her third Iditarod race. Representing our entire family, her daughter Nicolina will be there to cheer her on and will even get to ride in her sled for the Ceremonial Start. Jan takes a moment to connect with Amber. A few years ago, I had the great fortune and honor to be there with Jan for her debut at this truly amazing race. Read one of my previous articles to get the behind-the-scenes story about gearing up for the Iditarod, and stay tuned for intimate looks at the Ceremonial and Official Starts of the Iditarod: The Last Great Race. 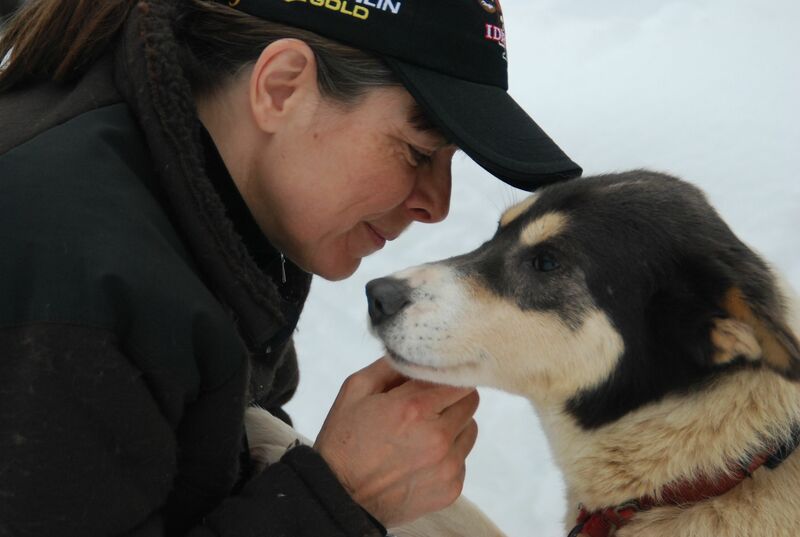 To stay up-to-date with Jan’s current standings in the Iditarod, be sure to check here daily.